I love shiny, sparkling silver… but I hate how it tarnishes so easily! 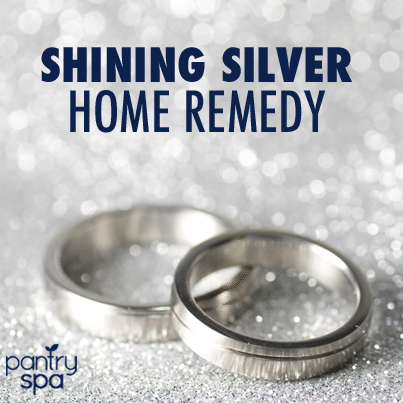 This super simple sprinkle will have your silver shining in seconds and remove all traces of tarnish. 1. Place the silver on a piece of aluminum foil. 2. Sprinkle baking soda on top of the silver. 3. Cover with boiling hot water. 4. Watch the fizzing fun action eat away the tarnish!